Luxurious 0.75cts carré cut diamond half eternity ring, channel set with 0.75cts of square diamonds within a 3.75mm ring. 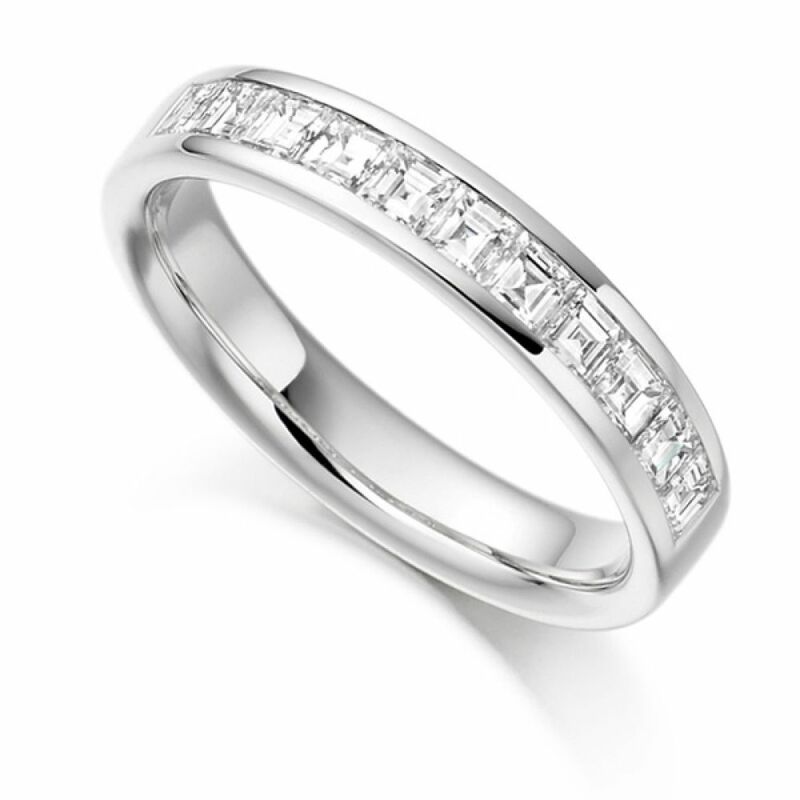 Precision set Carré Cut Diamond Eternity Ring features ice white Diamonds and exceptional Clarity for everyday sparkle. There is a total of 0.75cts of Diamonds which have been expertly matched prior to setting. The channel runs over half of the comfort fit profiled band. 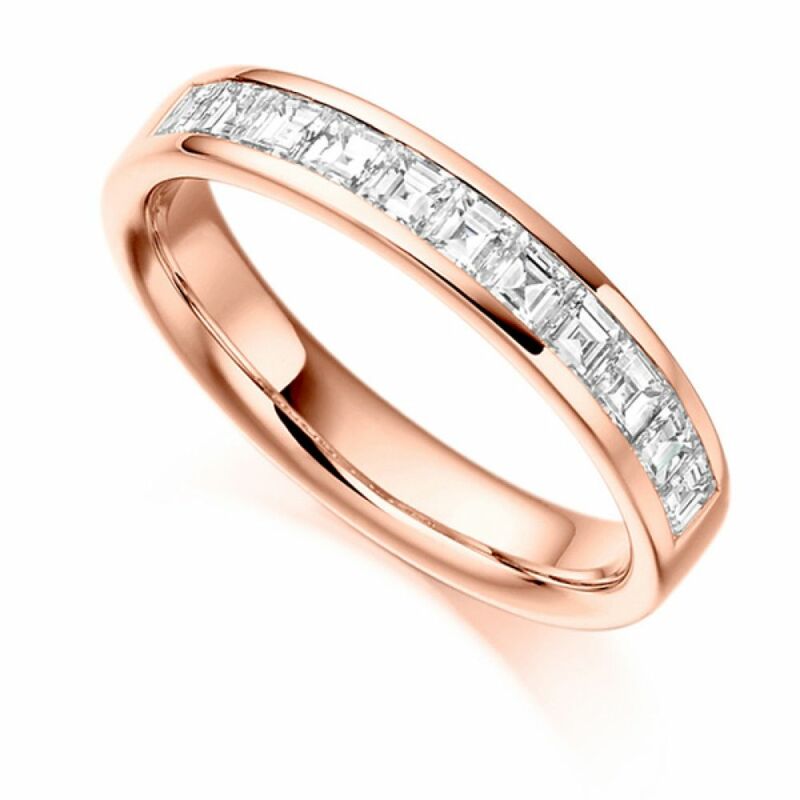 Available in a range of precious metals including 18ct White Gold, 18ct Yellow Gold, 18ct Rose Gold, 950 Platinum, and 950 Palladium. Available to arrive at your door within 4 weeks beautifully presented in our bespoke packaging.